Should I print the labels myself or pay Amazon to label them for me? For those who don't know, Amazon will label your products for a fee of $0.20 per item. Nine times out of ten, though, the most economical answer is to do it yourself — the physical cost of the labels plus the printing supplies doesn't add up to $0.20. If you want to do the labeling yourself, get started with OL875 – 2.625" x 1" labels, our Amazon-compatible product label sheet. 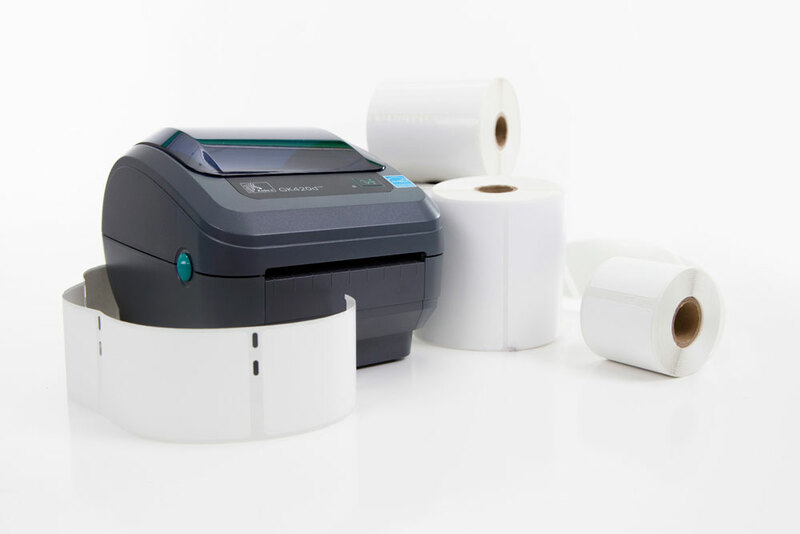 If you want to speed up the process, a dedicated label printer will do just that, bringing us to our next frequently asked question. Not sure if your business should even be using Amazon FBA in the first place? We go more in depth on the topic in our article: Is Fulfillment By Amazon Right For Your Business? Should I buy a dedicated label printer? 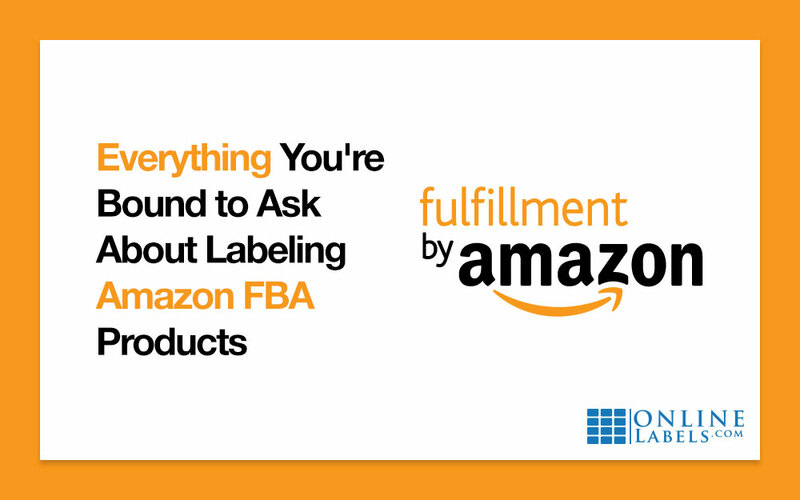 If you started using your home or office printer to print product labels for Amazon FBA, you know that the process isn't super user-friendly or customizable. Amazon's program always lines up the labels for printing at the top of the first column, meaning if you don't print all 30 labels at once, there's no way to use the blank labels from other columns! More than anything else, this seems to be the biggest complaint with using the Amazon FBA software with traditional printers. There are countless blogs that discuss saving up all your labels so you can print as many as possible at a time, but if that's holding up your process, what good does that do you? If that's a problem you've run into during the inventory labeling process of Amazon FBA, it might be worthwhile to invest in a dedicated label printer. These printers were designed specifically to print labels, so they optimize your process. Popular label printer brands like Dymo® and Zebra® let you print the exact amount of labels you need, no more, no less. The more technical answer, however, is that it depends on the quantity of items you ship to Amazon FBA. If you're shipping more than 20 packages per week, the amount of time, energy, and supplies justify the switch. How does it save you time and energy? Some dedicated label printers can print more than 70 labels per minute! If you're tired of standing at the printer waiting for your inkjet or laser printer to do its job, the speed of a label printer is sure to impress. Label printers will also save you the headache of trying to align your blank labels on your label sheet with Amazon's auto-generated PDF. In terms of supplies, you won't be constantly running out of ink and having to replace cartridges with a label printer. Because label printers work by using thermal technology, not ink or toner, there's no ink to replace. In the long run, that means you end up spending less per label. The savings will keep multiplying, both in terms of time and money. Within months, the printer will pay for itself. Which label printer should I buy? Lucky for you, NerdNod, the Amazon product review site, did all of the research for you in their Shipping Label Printer Comparison article. 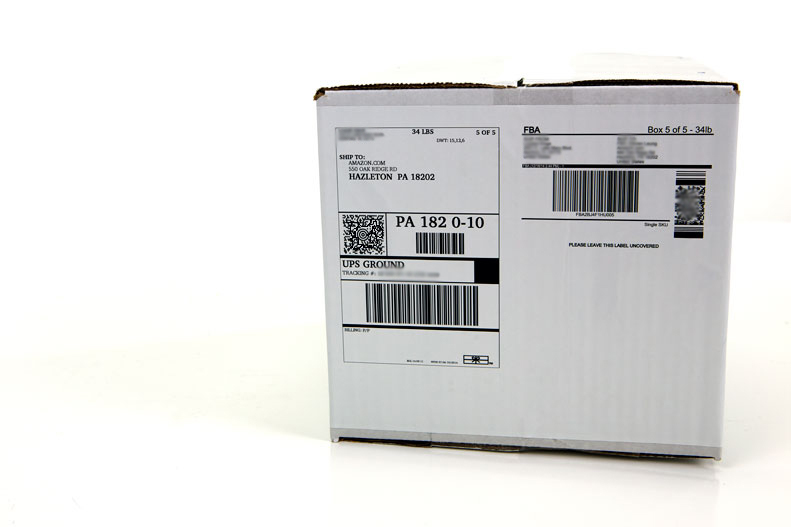 The results: use a DYMO LabelWriter 4XL if you're shipping less than 500 packages a week and the Zebra GC420d for large-scale, commercial use. We also found that the Dymo 450 Turbo Writer is a popular pick among Amazon FBA sellers. What needs to be included on my product label? The above diagram breaks down the parts and pieces of each label. But don't fret about how to create one yourself, you can download them anytime from the "Manage Inventory" page of your account. Where does the inventory label go on the product? It should go on a smooth portion of the packaging, avoiding the opening of the box, all curves, and the corners. 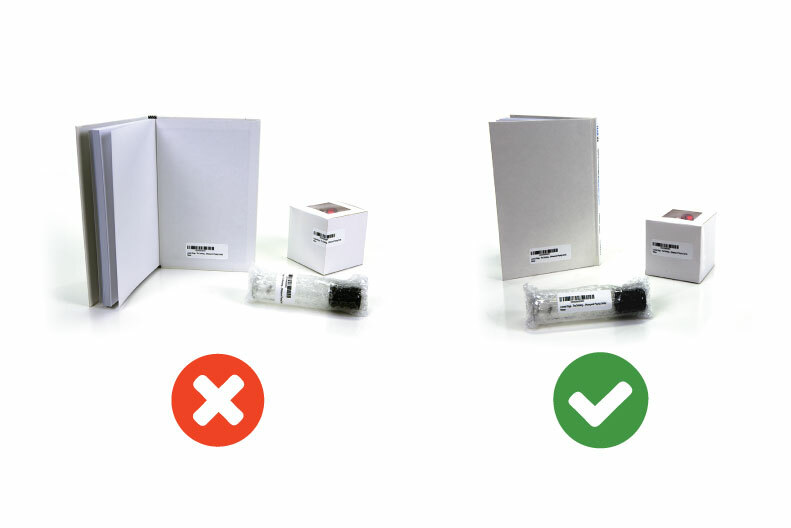 If your product has multiple layers of packaging, make sure the label is scannable without opening or disturbing it. Also, avoid placing labels in an inconspicuous location, like the inside cover of a book. When do I need to add additional labels/instructions to the packaging? If you've watched any of the Amazon FBA help videos on their Youtube page, you may have noticed that many of their examples contain multiple labels or advisories. How do you know if your shipment needs them, which ones do you use in which instances, and how do you use them appropriately? We've summarized their needs, uses, and placement below so your products can sail through the Amazon FBA shipment process. If you're shipping products that need to be kept together and sold as one piece, you need to identify that to the team in the warehouse. A boxed set of books is a good example of a "sold as set" item. You'll need one of two labels to make that clear: "Sold as set" or "This is a set. Do not separate." To prep those products correctly, bundle them together with shrinkwrap or in a transparent poly bag or separate box. You can then apply the label to the outside. Use our pre-designed "Sold as Set" label on OL2088LP to get started. 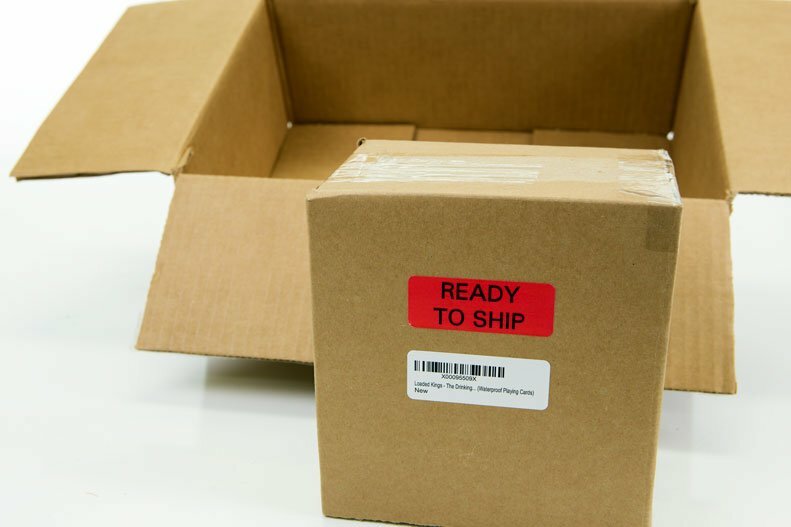 If your item is already in a consumer-ready box or packaging, you'll want to make sure the warehouse team doesn't open it, altering its selling condition. The best way to do this is to add either of these labels to the outside of the box: "Ready to Ship" or "Single item enclosed. Do not open." 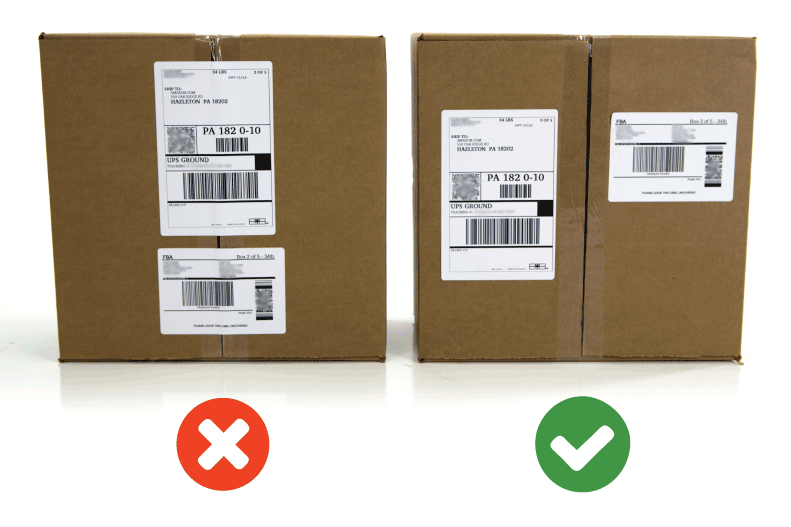 Once your label is applied, place the ready-to-ship box inside a separate box for shipping. 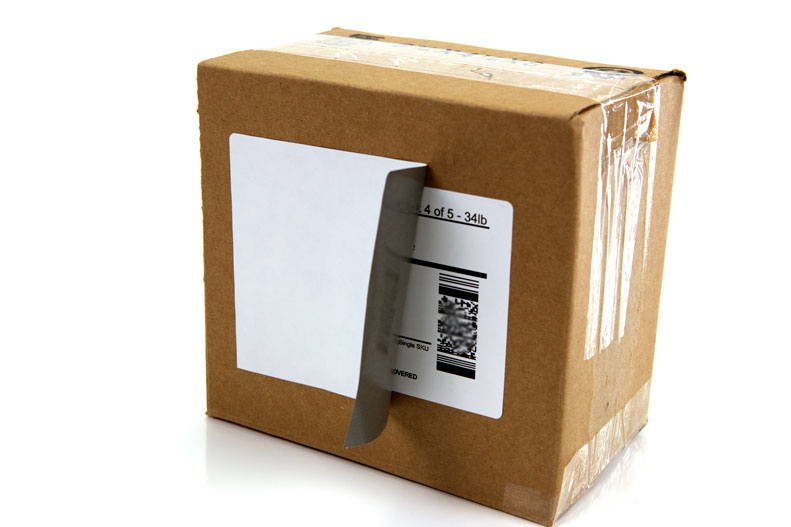 The outermost box must contain a shipping label, and you wouldn't put that on a consumer-facing box. These labels also work in conjunction with, or in place of, the "sold as set" labels. 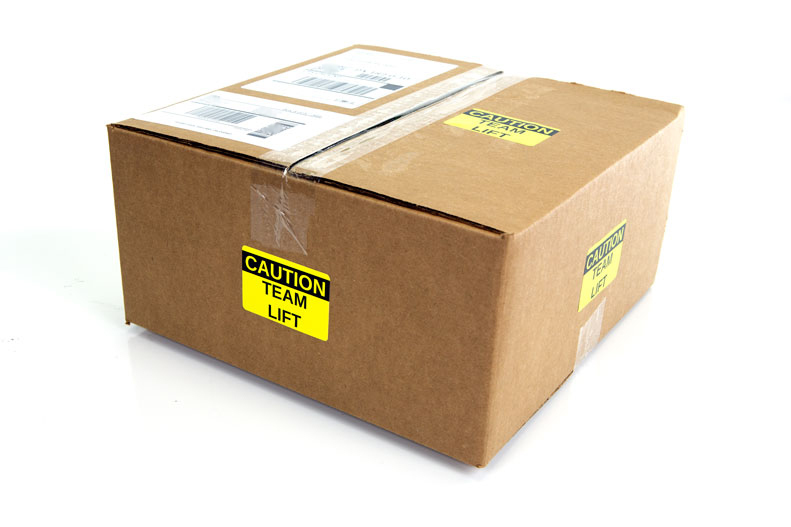 They notify warehouse personnel not to disrupt the arrangement or packaging of an item. 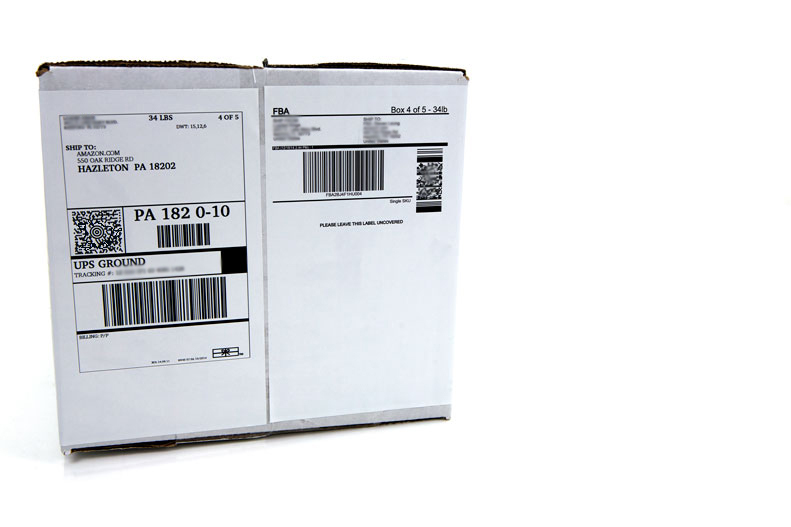 Save time with our "Ready to Ship" label on OL875LP. To protect consumers, all poly-bagged units must have a warning sticker indicative of suffocation. It should say: "WARNING: To avoid danger of suffocation, keep this plastic bag away from babies and children. Do not use this bag in cribs, beds, carriages or play pens. This bag is not a toy." This may not to apply to every bag, as some manufacturers print the warnings directly on them. 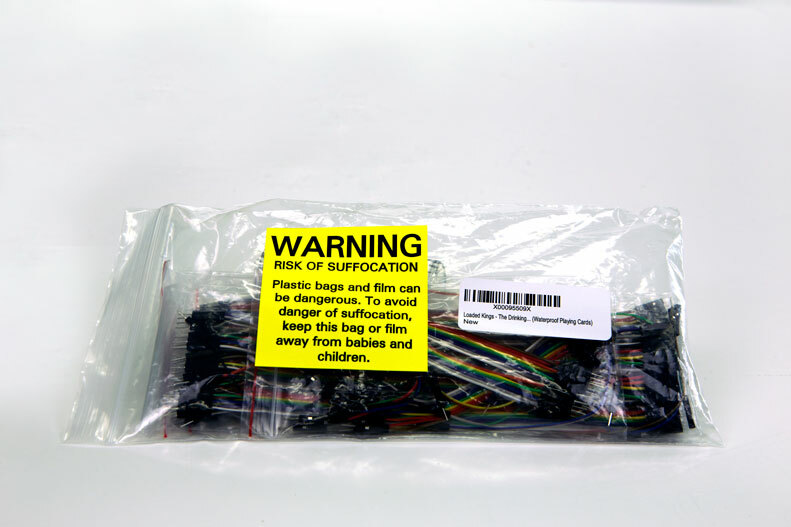 If you're using bags 39 inches or smaller, our Suffocation Warning label works perfectly on OL675LP. According to Amazon, expiration dates must be labeled in the following format: MM-DD-YYYY. (You can forgo the day of the month if that information isn't available.) These labels must be visible, in size 36 font or larger on the master carton and on the individual units. Each carton can only have one expiration date and can't also have the manufactured date displayed. 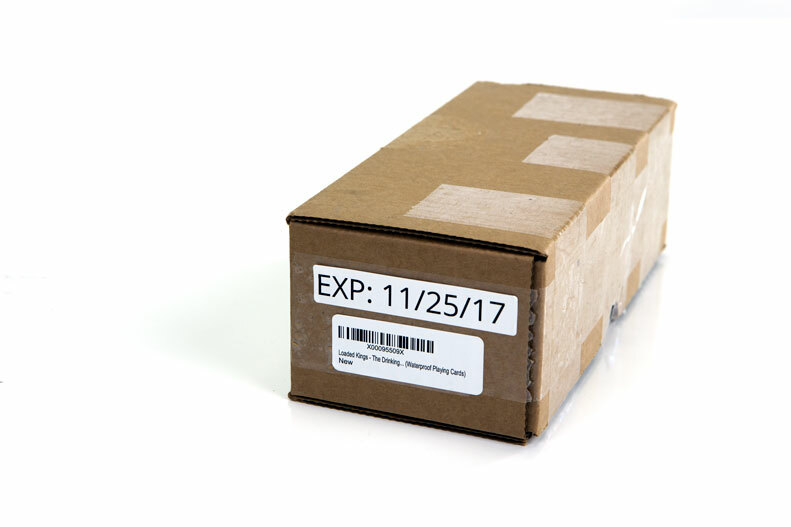 Our pre-designed Expiration Date labels printed on OL200LP meet Amazon FBA's requirements. If the package you're sending to Amazon FBA is more than 50 lbs, Amazon considers it oversized. Therefore, it must be labeled with a "team lift" sticker. You must place the sticker on the top of the box and along each side. Use our "Team Lift" labels on OL996LP to print up to 10 at a time. If your Amazon FBA package weighs more than 100 lbs, the label should read "Mech Lift." The label must be placed visibly on all sides of the box. Print them yourself using our "Mech Lift" label on OL996LP. How do I package my shipment to send to Amazon FBA? When shipping your products to Amazon, you want to make sure the two shipping labels are properly placed and easily identifiable. The labels shouldn't be placed over the seam of the box or around a corner or curve. Amazon prefers side placement of the labels and a 1.25" margin between the box edge and the label. What's the easiest way to print shipping labels to send my products to Amazon for FBA? You have a couple of different options for this one, choose whichever method sounds easiest to you! We've created sheets cut to the exact size of the labels. Load our labels into your printer as you normally would, print, and simply peel off the perfectly-sized labels. There's no cutting or taping involved and you can order as many, or as few, as you'd like. Bonus: you can order them in our weatherproof material so they'll stand up against the elements during shipping and the test of time during handling. If you want a sheet with the two halves already separated, we offer an 8.5"x11" sheet of labels cut down the middle horizontally. Order only what you need — there is no minimum quantity requirement. Plus, they're weatherproof! Well, they are if you use the weatherproof material, which you should. If you have the space on your box to use a full sheet of paper or you don't mind cutting the sheet in half, we have an 8.5"x11" full label sheet, or for added convenience, the same 8.5"x11" label sheet with a back slit in the liner for easy peeling. Both options are available in custom quantities and our waterproof label material. 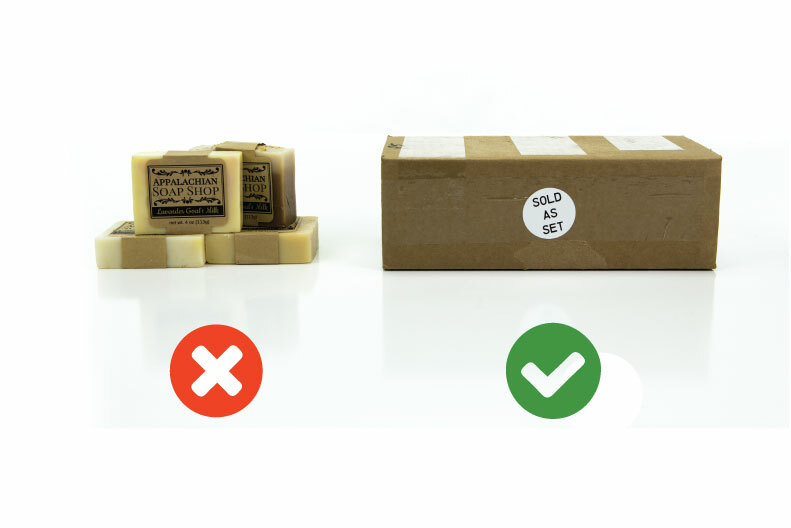 Much like our half sheet labels, you can place an order online for free UPS WorldShip Peel-and-Stick Labels. However, each order is for 50 sheets and can only be placed so often. Their durability against heavy use or liquids is not listed on the UPS site. Print your labels on regular printer paper, cut the paper in half, and tape it to your box. But be careful, tape can obscure the barcode and delay the processing of your shipment. Regular paper is also more prone to water damage and ripping, problems that are likely to occur once the package leaves your hands and begins its journey to the Amazon FBA warehouse. 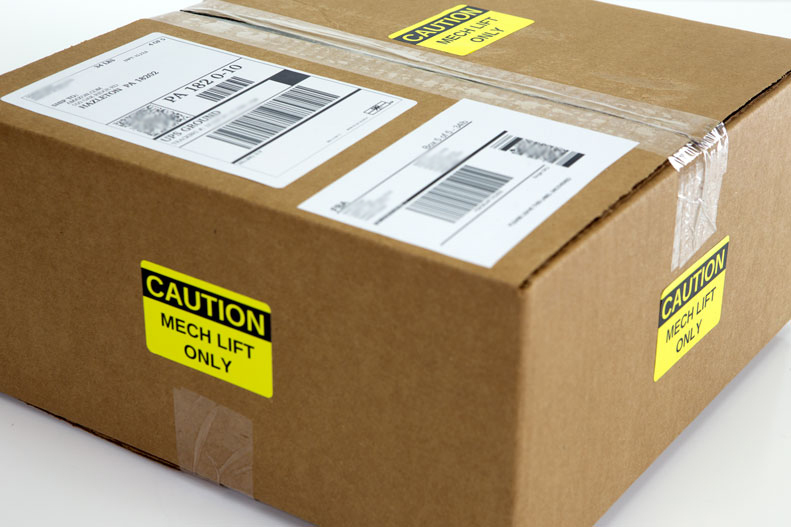 Unscannable or unreadable labels can cause your item(s) to be held up or sent back. What's the best way to cover old barcodes and packaging labels? Amazon is a stickler for covering up old barcodes. Having multiple labels per box can delay the process. Covering them up with another label is your best bet, and the most professional looking option. Invest in our blockout labels to completely hide everything underneath. Now that you have a better understanding for the rules, get started! 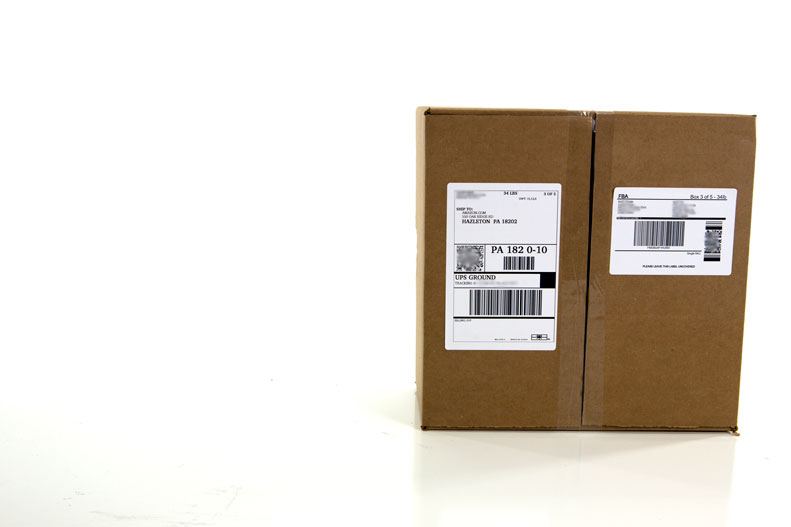 Browse our variety of Amazon FBA shipping label sizes for use with both label and traditional printers. Know you can always count on us to improve the process. Questions? Reach out to customer service and we'll lend a hand. If you're still in the decision-making process, feel free to read our other popular Amazon FBA article: Is Fulfillment By Amazon Right For Your Business? This article is meant to be used as a labeling guide, not as an authoritative resource on the latest Amazon FBA requirements. At the time of publication (August 2016), the information mentioned above is compliant with Amazon's protocols. Please be sure to check back with Amazon for updates or revisions as regulations can change frequently. We are not responsible or liable for any actions taken as a result of using the content or resources listed above. OnlineLabels.com is not affiliated with Amazon. Amazon does not sponsor or endorse any article or products sold by OnlineLabels.com.